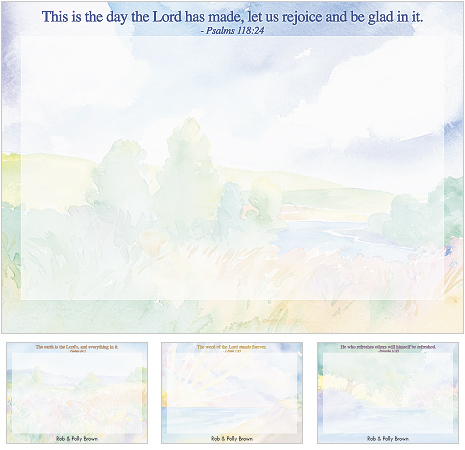 Order watercolor note cards by Christian artist Marian Hirsch. From meadows to seashores....four lush scenes echo the beauty of God's creation. These 6 1/4" X 4 1/2" flat cards include free personalization and envelopes.